You’ve been invited by a friend to visit him or her in a distant city. The city intrigues you as a possible place to live, not just visit. That visit, however, will give you an opportunity to check out the city and explore its many fine attributes. Take advantage of your visit to learn everything about the area before you consider a move. 1. Let your friend be your guide. The big advantage of having a friend in a city you are considering moving to is that they’re already familiar with the environment. This is an advantage to exploit with you asking your friend to help you explore the area. Even if your visit is short, such as an extended weekend, it can reveal much to you if you are with the right person. 2. Understand the lay of the land. Cities have several things in common, including general work areas, residential districts, arts and culture, and shopping. In older cities, the dividing line is usually clear. In newer cities, you may be surprised to find everything is so spread out. Get a feel for the area and you’ll quickly learn if it is right for you. If you plan to move to a place where a car is necessary, you may be in good shape if you have one. Without adequate mass transportation, you may find the living unbearable. Take in a few restaurants, theaters, and museums while visiting. Stroll the shopping promenade and check out where people like you hang out. 3. Consider the work options. Your intended city likely has a variety of business sectors at work. Some cities are financial hubs. Other are technological destinations, still others specialize in pharmaceuticals, elder care, you name it. If you specialize in a certain area, will that new city have the types of jobs you want? If not, are you willing to transition to a new career? If so, will it be a difficult transition? Check out this article to find the best places for young professionals to live. 4. Imagine your future. Visiting a city for a few days can be difficult to gauge your long term interest in the area. What is the weather like at various times of the year? Are streets safe for walking at night? Are there people in your age group you would be interested in getting to know? Can you see yourself living in the city for the next five or 10 years? What are the suburbs like? You need to imagine your future in your potential locale. If you can see yourself living there, then that’s a good start. 5. Consider your housing options. Is your friend willing to let you room with him or her? If so, a big challenge to the housing question has been answered. That is, if you think the residence would be good for you and you’re compatible with your friend living under one roof. If living with your friend isn’t on the table, then check out the housing stock. Ask your friend to show you around to neighborhoods that might work out for you. If possible, check out a few of the apartments. Familiarize yourself with rent rates, parking and other concerns you would have as a tenant explains Smart Box Storage. 6. Enjoy your visit. The bad thing about scoping out a city as a place to live is you might get too busy weighing your options without taking in everything the city has to offer. 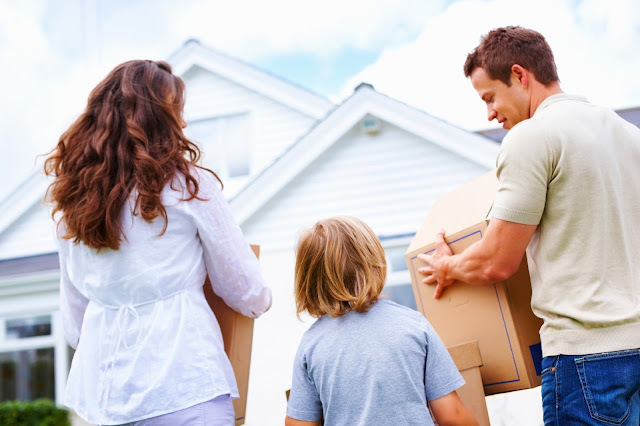 Indeed, if you enjoy your visit, then you’re more inclined to feel comfortable about your move. If you focus too much on a potential move, then you may always wonder if you made the right decision. Have fun and let the exploration begin. When you’re ready to make your move, then do so. Don’t look back, but do look forward. There are endless possibilities in your new city and a world just waiting for you to explore.